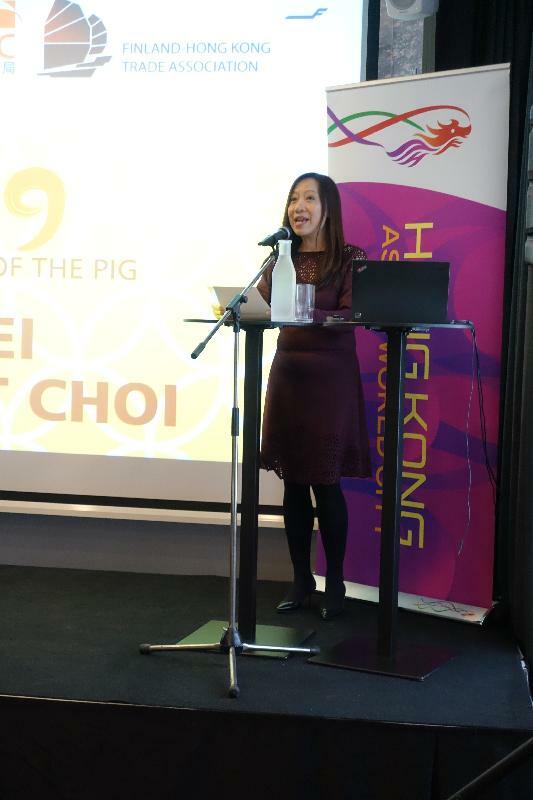 The Hong Kong Economic and Trade Office, London (London ETO) has launched its 2019 Chinese New Year celebrations in countries under its purview by holding events in the Nordic countries of Finland and Sweden as well as in the UK. 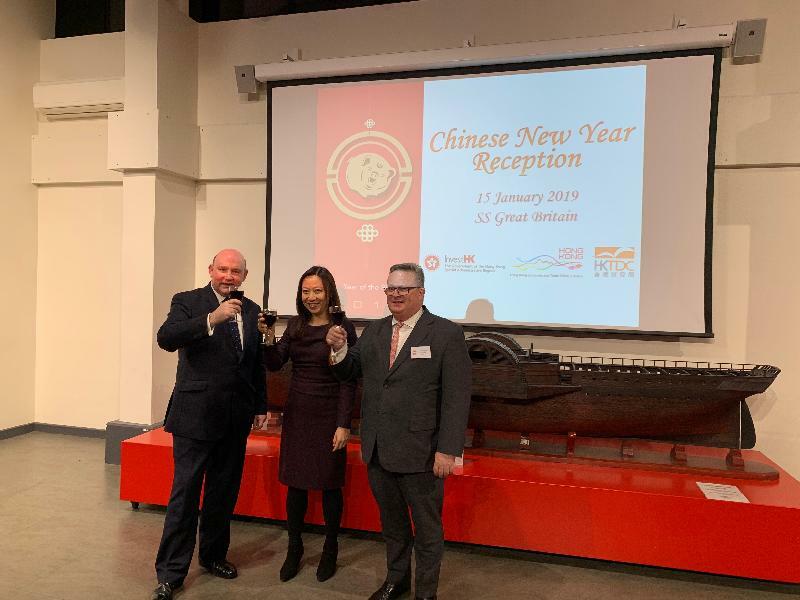 The London ETO greeted the Year of the Pig with Chinese New Year receptions in Bristol in the UK on January 15; Helsinki in Finland on January 23; and Stockholm in Sweden on January 29. 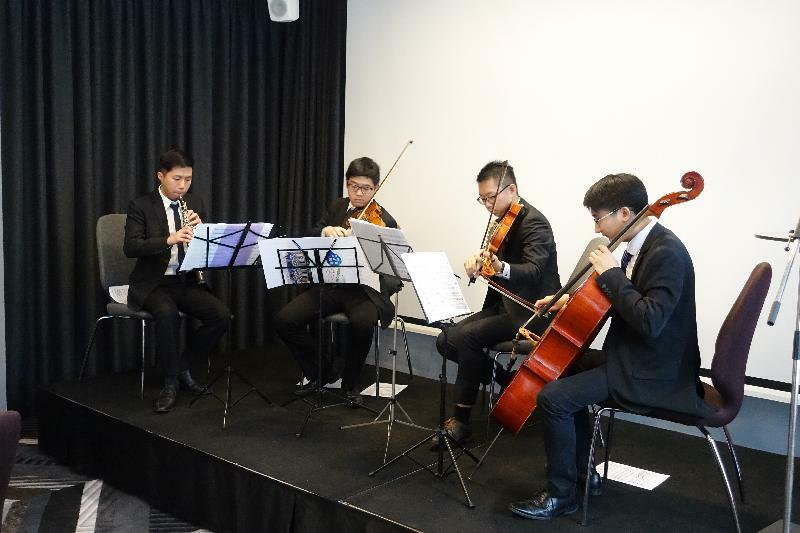 All of the events were well attended by guests including representatives of the government, business and academic sectors, and the events in Finland and Sweden featured musical performances by Hong Kong musicians to promote the musical talents of Hong Kong. 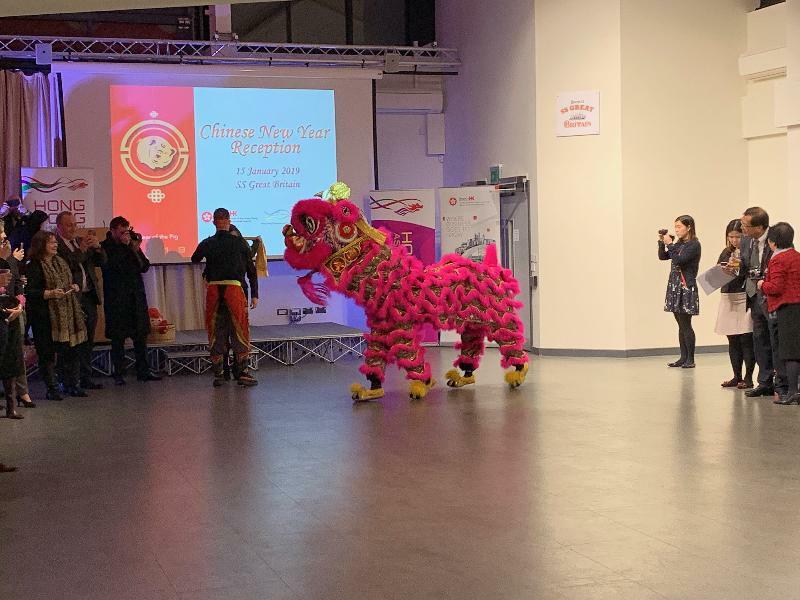 The New Year celebration in Bristol featured a speech bythe Director-General of London ETO, Ms Priscilla To and a festive Lion Dance performance. Ms To briefed the guests on the latest developments in Hong Kong, including the most recent initiatives of the Government in promoting development in the innovation and technology and maritime sector, and encouraged companies in Bristol and the west of the UK to partner with Hong Kong to venture into the vast Mainland China and Asian markets. The Mayor of the West of England, Mr Tim Bowles, also joined the reception to celebrate Chinese New Year with the guests. Prior to the reception, London ETO, in partnership with Invest Hong Kong and the Hong Kong Trade Development Council (HKTDC) organised a seminar about business opportunities in Hong Kong.The Director-General of Investment Promotion, Mr Stephen Phillips opened the seminar and spoke on the business opportunities in Hong Kong arising from the Guangdong-Hong Kong-Macao Greater Bay Area(Bay Area)Development, as well as the Hong Kong Government's focus and policies on different sectors, including innovation and technology. Two panel discussions followed, featuring speakers from companies who were doing business in Hong Kong, who shared their personal experiences, as well as speakers from supporting organisations such as the UK Department for International Trade and the China Britain Business Council. Ms To closed the seminar by reinforcing the development opportunities and urged UK companies to grasp these opportunities. At the Chinese New Year celebration luncheon in Helsinki and the reception in Stockholm, Ms To shared with the guests the latest updates about Hong Kong, updating them about the vibrant development of the innovation and technology sectors as well as the creative industries in Hong Kong. She encouraged Finnish and Swedish companies to make use of the platform provided by the newly established Nordic Innovation House to gain access to the Hong Kong, Mainland China and Asian markets, highlighting the opportunities arising from the Bay Area Development and the Belt and Road Initiatives. The celebrations also featured performances by young Hong Kong musicians from the Ponte Orchestra, a youth orchestra in Hong Kong. Other key speakers at the luncheon at Helsinki included the Regional Director Europe of the HKTDC, William Chui; the Vice Chairman of the Finland-Hong Kong Trade Association, Mr Harri Kekkonen; the Managing Director Finnair Cargo, Janne Tarvainen; and the Chief Executive Officer of Claned, Mr Vesa Perälä. 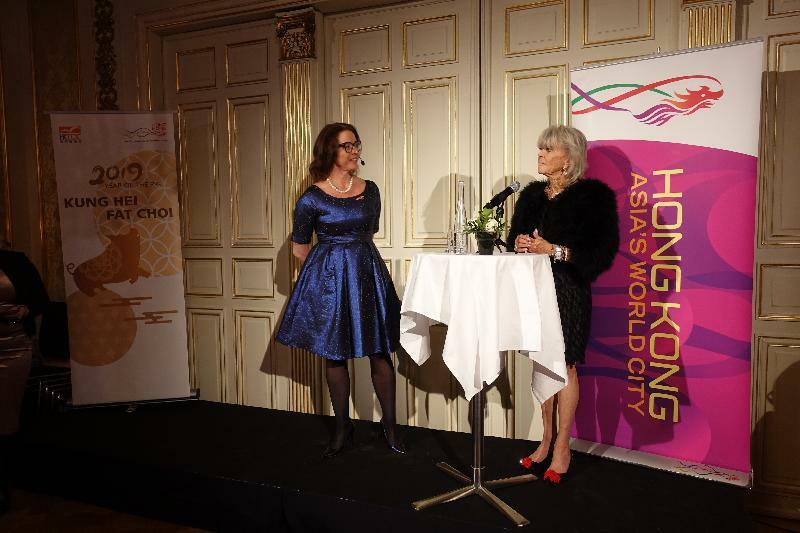 The reception in Stockholm featured an interview with Princess Birgitta of Sweden, who has been a patron of the Hong Kong Chamber of Commerce in Sweden for 15 years, as well as a panel discussion on business opportunities in Hong Kong. Speakers include the Chief Executive Officer of European Business of MTR Corporation, Mr Jeremy Long. The Chinese Ambassador to Sweden, Mr Gui Chongyou, also attended the event and praised Hong Kong for being a vibrant and creative city, following his visit to Hong Kong in December 2018. 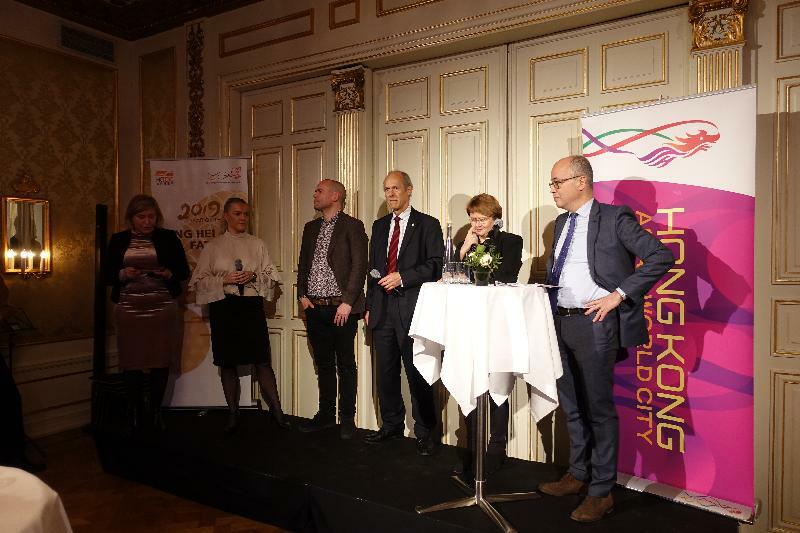 The Chinese New Year celebrations in Helsinki and Stockholm were co-organised by the London ETO, the HKTDC and local business associations, namely the Finland-Hong Kong Trade Association and the Hong Kong Chamber of Commerce in Sweden. The London ETO will be holding further Chinese New Year celebration programmes in other countries under its purview in February and March.